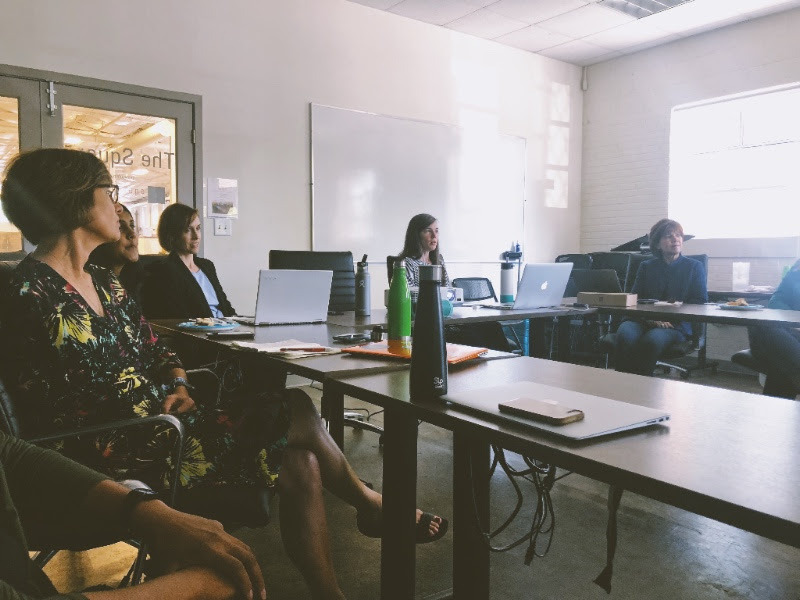 This past May, StepUp Durham partnered with Common Impact and Fidelity Investments to start a collaborative project that led to our new and improved website. Common Impact is a non-profit that cultivates a network of corporate partners and volunteer consultants, and connects their professional expertise to support and advance the missions of non-profits. 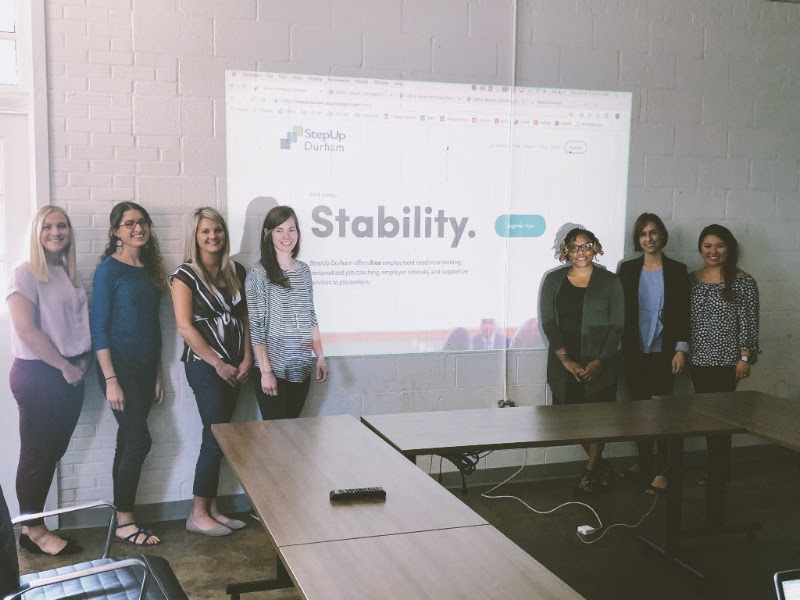 Our website project was unique because Common Impact convened a team of all-female information technology professionals from Fidelity Investments, while StepUp Durham also brought its female staff and volunteers to the table. We began and ended our project with this quote by Maria Shriver: "We all bring something unique to the table. And when we women sit at it, there is no doubt in my mind that it becomes a more compassionate, caring, and collaborative table." A few guiding principles were key to our process. We recognized that two-thirds of the United States access the internet through smartphones, and a significant number of those individuals live below the poverty line. In response to this, we wanted our website to be smartphone-friendly to allow workshop registration experiences to be easier to navigate. We also wanted to transition our site from being text heavy to becoming more visually-striking with images of our StepUp community. Lastly, we wanted to feature our collaborative partners, who expand our capacity for impact on a weekly basis. Check out our new website! Images are from our Project Wrap Meeting on October 4, 2018. A special thanks to the talented women who partnered with us to make this possible!